Soft drinks giant Britvic is plotting a PR offensive to promote its key brands ahead of the London 2012 Olympic Games. The firm behind Robinsons, J2O and Tango has been speaking to a number of consumer PR agencies in recent weeks as it searches for additional comms support. With the Olympics less than a year away, Britvic is keen to ensure that it does not lose ground to rivals who are official 2012 sponsors. It is understood that Freud Communications and Hill & Knowlton are among the agencies being considered to run a high-profile consumer campaign promoting a range of Britvic's brands in 2012. Britvic is one of Europe's leading soft drinks companies. 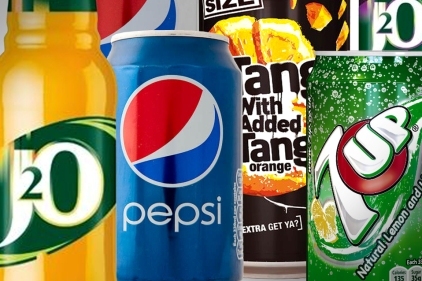 It also holds an exclusive franchise agreement with PepsiCo for producing and bottling Pepsi and 7UP in the UK. Britvic's biggest rival, The Coca-Cola Company, is a worldwide partner of the Olympics. As part of that deal, Coca-Cola receives global marketing rights in the non-alcoholic beverages category and use of the Olympic symbols and mascots in advertising and promotional activity. Despite restrictions imposed by anti-ambush marketing legislation, non-official sponsor brands are finding ways to navigate the legislation preventing them from using Olympic Intellectual Property. According to a special Olympic report published by Mintel in July 2011, non-sponsor brands are likely to promote themselves by 'associating themselves with sports on the Olympic roster' and 'through displays of sporting patriotism and alignment with unspoken elements of the Games'. A Britvic spokeswoman confirmed that a pitch 'for a specific consumer campaign running next year' was under way but declined to give details on the brief. The UK carbonated soft drinks market is worth £4.45bn in 2011. Coca-Cola dominates take-home sales in the UK, with 48 per cent, compared with Pepsi's 13.5 per cent. Pepsi has caught up with Coca-Cola in the on-trade market. Each had a 30.1 per cent share in 2010.